We're royally buggering the planet. Obviously, this isn't a recent revelation, but scientists have now estimated we have 12 years to drastically change our harmful habits before climate change is irreversible. I think this year we will see the zero-waste movement becoming more popular, i.e forgetting recycling, and stopping the use of single use plastics all together. I'm trying to make a conscious effort in 2019 to really think about how my lifestyle affects the planet, and align my morals to my actions - so I've put together a lil' list of ways I'll be trying to change in 2019 and be an eco-friendly millennial. Some of these alternatives are a bit more pricey, or less accessible - so I recommend just doing what's within your means, and not beating yourself up when you can't! I'll try and link to research for everything as well, but feel free to suggest any more! In 2019 I'm going to try and say goodbye to the following: face wipes, cotton balls and Q tips. 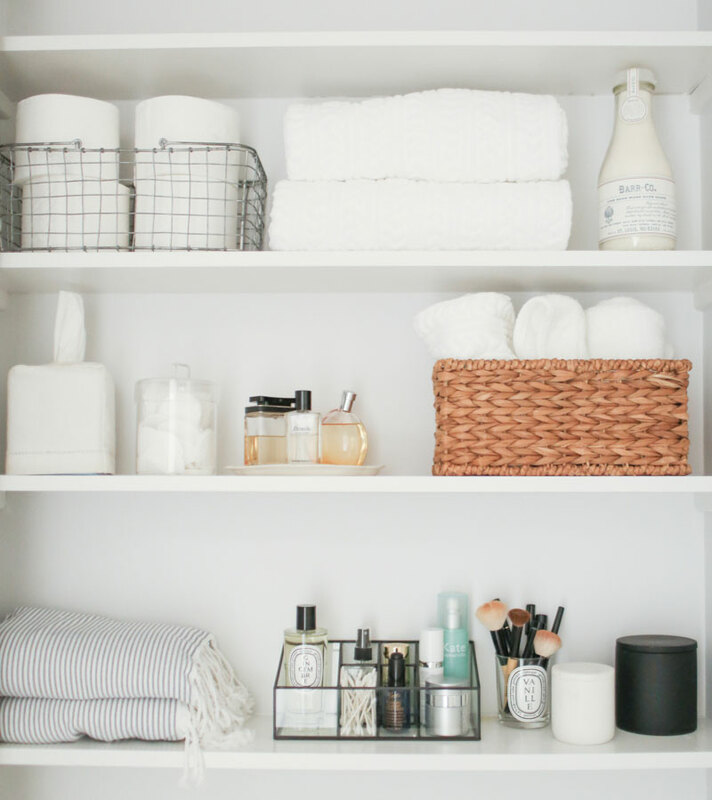 Unless the cotton balls are organic, like most sanitary products the cotton has probably been bleached and treated beforehand - which isn't going to be great for sensitive skin. Plus most cotton balls will be brought in non-recyclable plastic bags that will end up landfill. 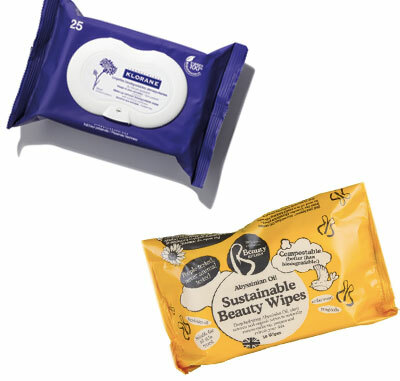 Wet wipes & face wipes are a known scourge on the environment, as they are woven with plastic fibres, making them non biodegradable and a major contributor to sewer blockages and fatbergs. Cotton buds/Q Tips similarly are made from plastic and cotton - there's a great blog post here on their environmental damage and alternatives. 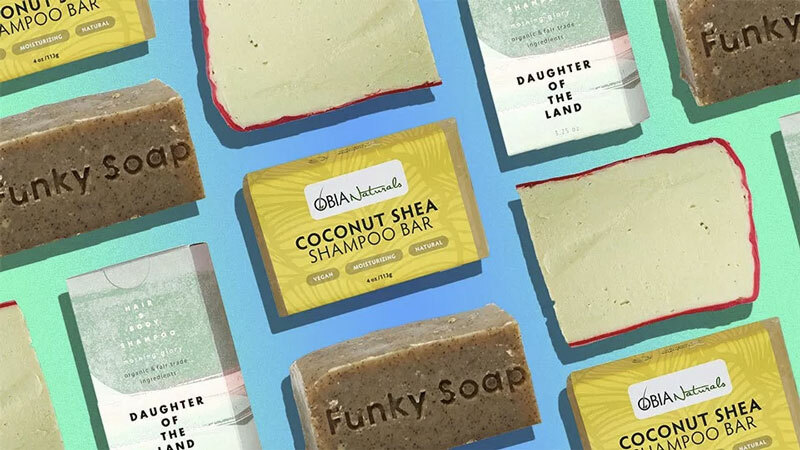 You can also try switching to package-free soap for your body and hair. Lush have just launched a range of soaps for skin/hair/body that are package free, or try your local health shop. This will massively reduce your plastic waste from shampoo, conditioner and shower gel bottles. Consider switching to a bamboo toothbrush. It’s estimated that 3.6 billion plastic toothbrushes are used worldwide every year, with the average person using 300 in their lifetime. Unfortunately, roughly 80 per cent of these end up in the sea. Here's a good list of eco-friendly toothbrushes that are either semi or fully biodegradable. In 2018 I made a big effort to only purchase beauty products that are 100% cruelty free, and this year I want to make sure everything I purchase is cruelty free AND vegan - while also being sustainable where possible (i.e packaging). I'm also trying to cut down on the amount I buy - do I realistically need a new lipstick? Probably not. Only buy something if you NEED it. When festival season comes around again, we all start going mad for glitter and gemstones to liberally coat ourselves in. But what happens once you peel/scrub/eventually manage to get the glitter off? It most likely ends up in the ocean, as most glitter is a form of microplastic. If you can, go for biodegradable glitter and gems where possible. There are loads of great brands that do it (and it's equally sparkly!). The impact of sanitary products on the environment is really not great. Menstrual cups last for years, saving you money, and the environment! They also don't contain the chemicals found in tampons and pads, such as bleach and dioxin, and aren't associated with TSS. 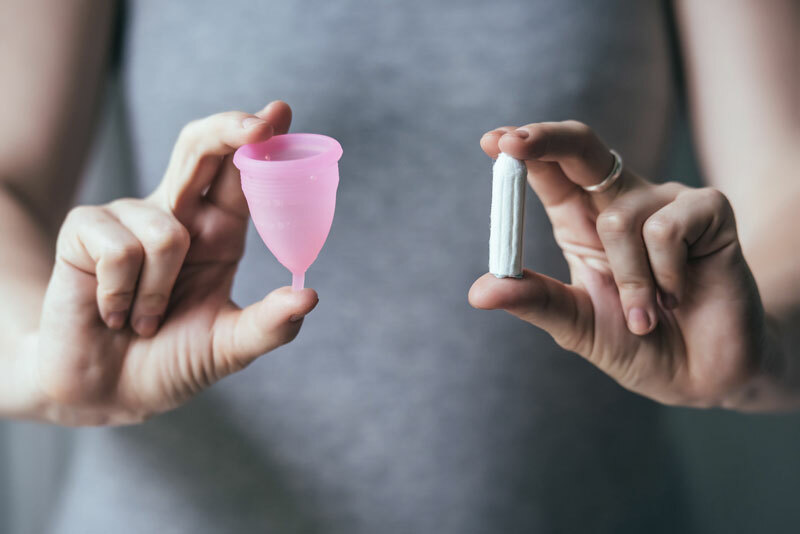 Menstrual cups might not be an option if you suffer with Vaginismus or sexual trauma, so another option is switching to organic pads & tampons (you can usually find these on the very bottom shelf under Always and Tampax etc). 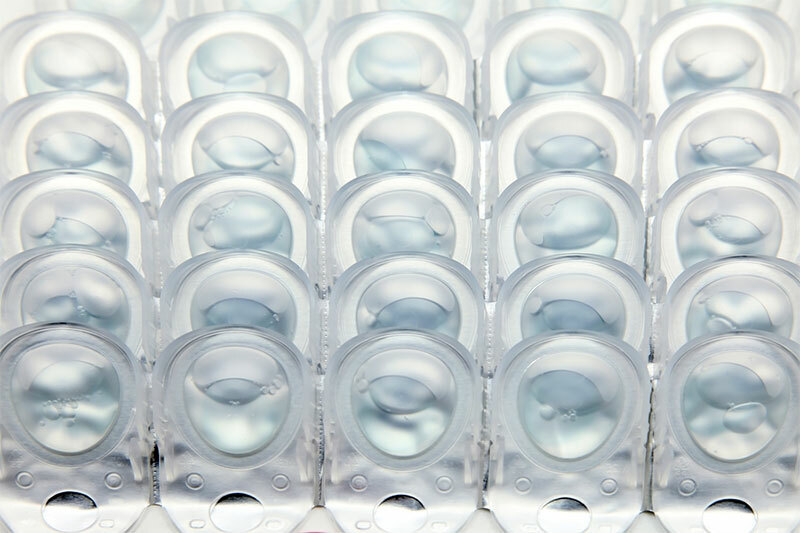 Turns out, contact lenses have an impact on the environment too. 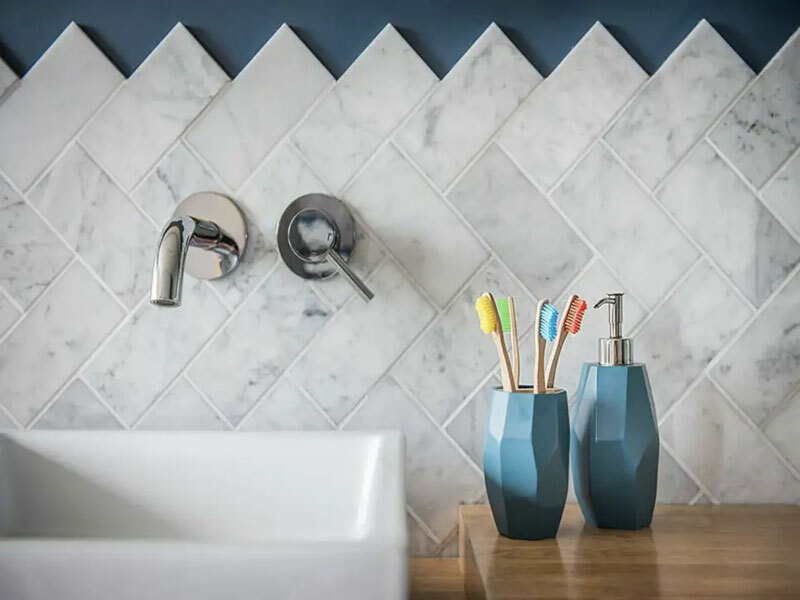 If they are disposed of incorrectly (flushed down the loo or put down the sink), they can contribute to the microplastic levels in our oceans. To counteract this, just make sure you put contacts in with general waste - and recycle the packaging where possible. I'm personally going to try and wear my glasses more this year (especially as I finally replaced the pair I've had since I was about 18). Plastic disposable razors are non-biodegradable, and their manufacture is also fairly harmful to the planet. Try switching to a safety razor, which should last a lifetime - and the blades can last for months if properly dried between each use. It can be a little more tricky to use than a conventional razor but worth saving the money and waste! There's a good blog post on switching to a safety razor here. Sugaring, waxing and epilating are also meant to be better for the environment. 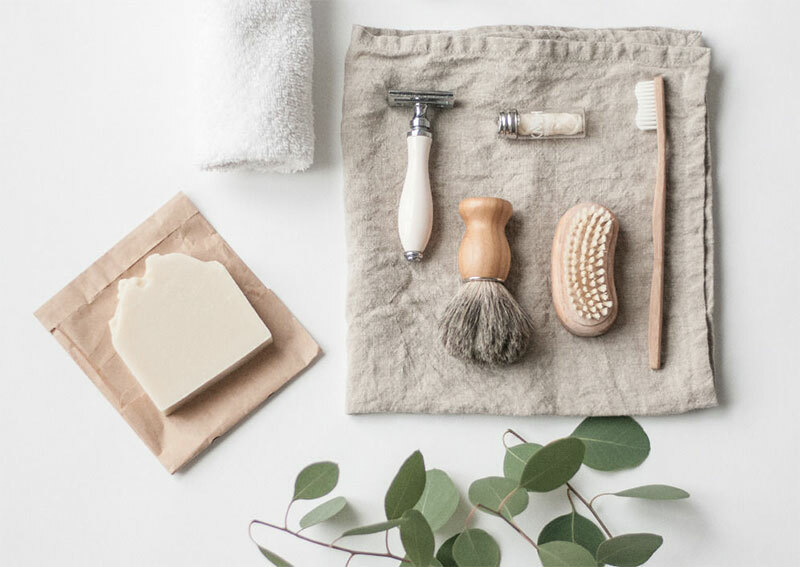 Bamboo handle razors are also a good option if you're a little freaked out by trying a safety razor (not the same as a Sweeney Todd style straight razor btw!). Is anyone else guilty of going full *treat yo self* every pay day and ordering from fast fashion brands? I used to see this as my reward at the end of each month and get a massive buzz off knowing I had a package (or 4) coming. I would pretty much always end up disappointed with the quality of the stuff I ordered and return 90% of my package, or just think 'meh' and put it in my wardrobe anyway. 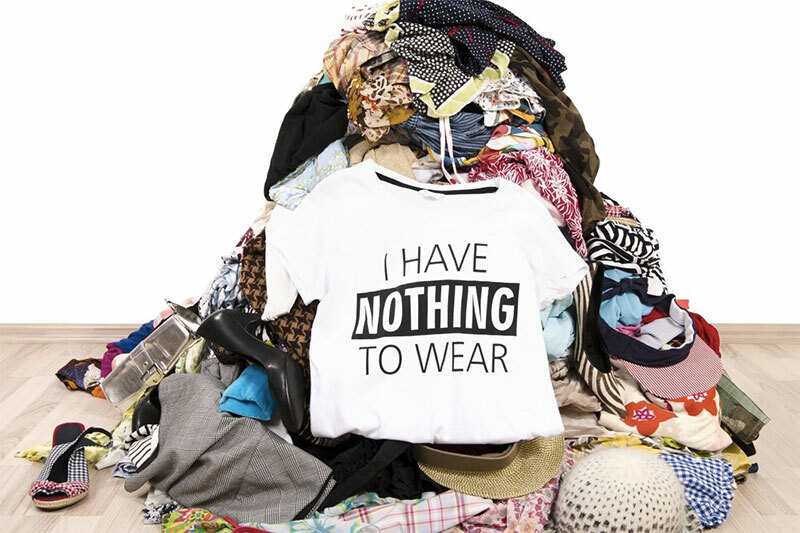 235 million items of clothing were sent to landfill in 2017, 1.5 trillion litres of water are used by the fashion industry each year, and every time we wash a synthetic garment 1,900 microfibres are released into the water, eventually making their way into the ocean. And those are just a handful of stats on how damaging the fast fashion industry is to the planet. Stop seeing shopping as a hobby! Constant scrolling through shopping apps is super tempting and I definitely love updating my ASOS saved list whenever I'm bored. One thing that I've found has really helped me cut back is unsubscribing from all email marketing from brands, who are constantly bombarding you with new lines/sales, which will tempt you into buying crap you don't need. Out of sight, out of mind. Also turning off app notifications from these brands, or even deleting the apps themselves will massively remove temptation. 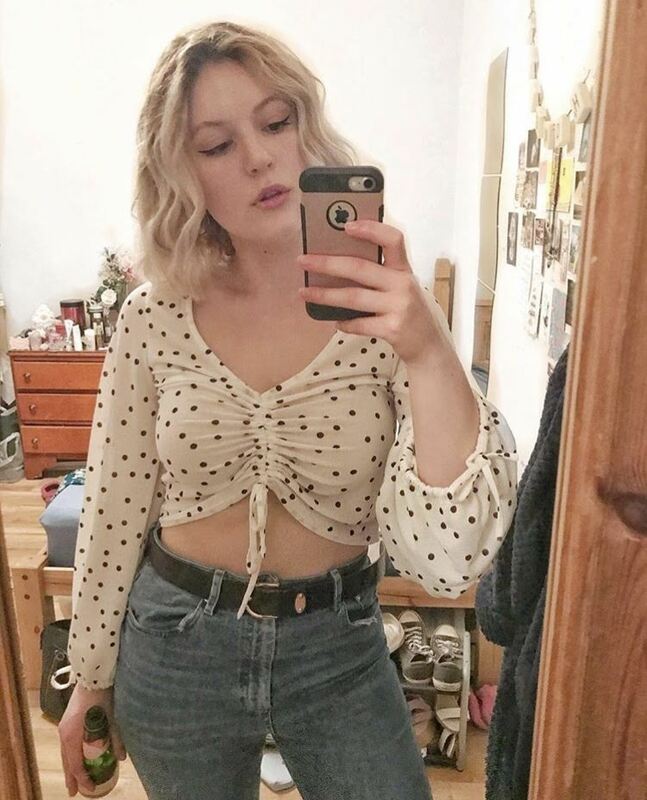 Instead of contributing to the supply/demand of fast fashion, try buying vintage or from charity shops. I'm definitely going to stop buying my jeans new when it's so easy to get hold of vintage jeans from good brands like Levis. OR shop sustainable/ethical fashion brands! There's a good article on UK based sustainable brands HERE, and check out this amazing swimwear brand called Batoko who make swimwear from recycled plastic. Asides from the health and ethical benefits of cutting down on animal products, more and more research is showing now that cutting down our meat and dairy consumption is essential to save the planet. Scientists at Oxford University have said that following a vegan diet is probably the single biggest way to reduce our impact on planet Earth, because it cuts out not just greenhouse gases, but global acidification, eutrophication, land use, and water use. Going vegan is even more effective than cutting down on flights or buying an electric car. 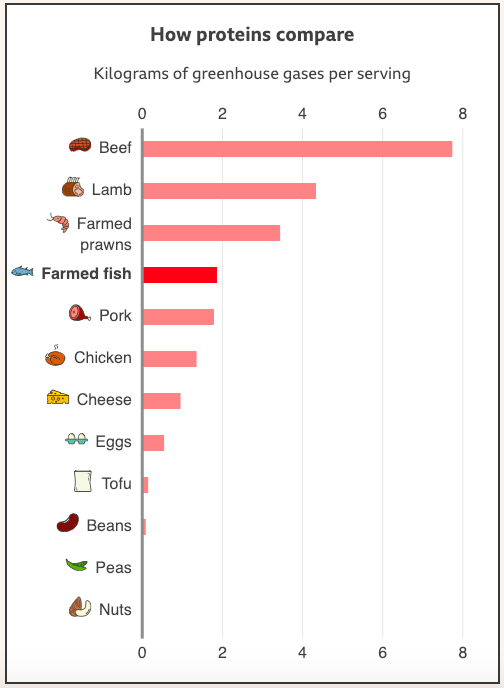 The BBC has a fab calculator which shows you the climate change impact of different food and drink HERE, which is really interesting. Even doing something like meat-free Mondays in 2019 will help make a difference! This is a pretty standard and easy one to do. 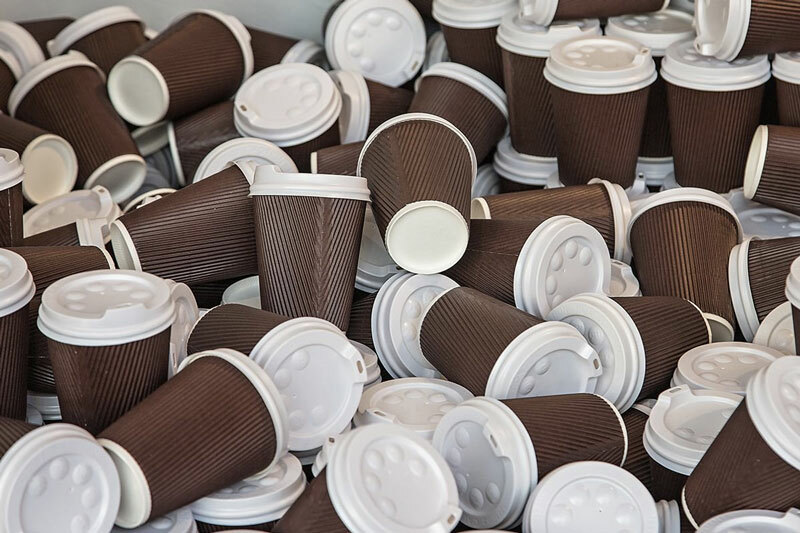 It's no secret that disposable coffee cups are not great for the environment. Most coffee places are now introducing an extra charge for a disposable cup (or even a small discount if you remember your flask). Stopping buying single use bottles of water is also a great way to make a positive change for the planet. Bottling water releases 2.5 million tons of CO2 into the atmosphere each year and billions of water bottles end up in landfill each year. Buying a reusable water bottle and filling it from the tap will cut out this damage, and filling a larger bottle to take to work and drink throughout the day is also a good way to get your daily water intake in. I barely use a handbag anymore. 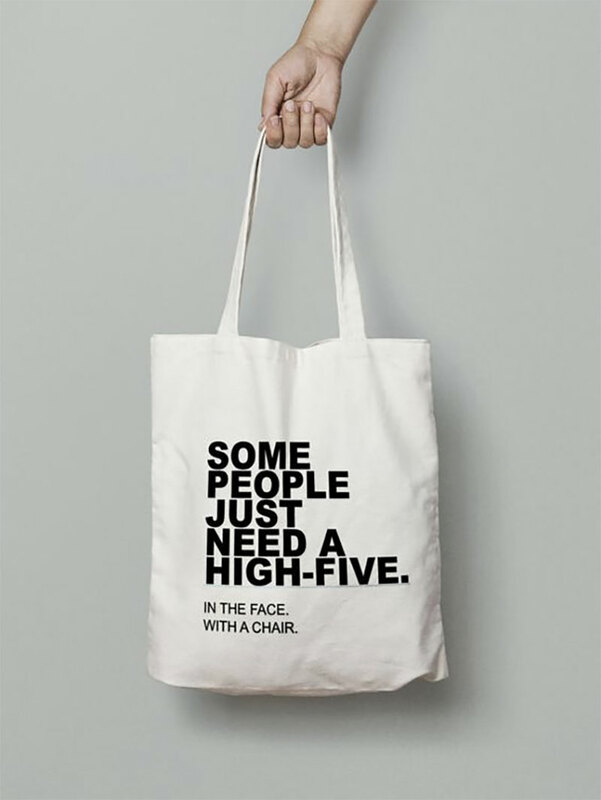 Having a big-ish tote bag fits all my crap, is more easier to carry than a standard handbag, and is big enough that I can shove a small food shop in there. What plastic bags? 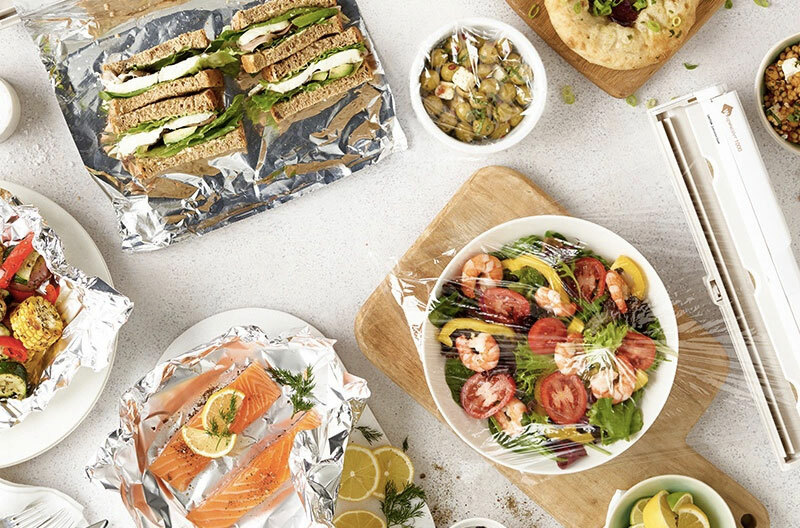 Cling film is non-recyclable annoyingly, so once you chuck it - it ends up in landfill. Stock up on tupperware, use upturned plates and bowls to cover food - or even invest in biodegradable cling film. Or use tin foil, which can be recycled. I definitely want to try and practice a zero waste lifestyle where I can in 2019. This is a little tricky especially in the UK, but there are some good resources available online. 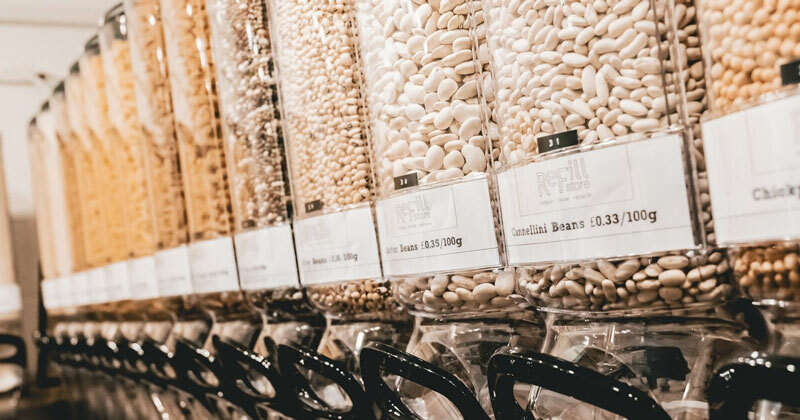 Try using refill stores for things like pulses & spices, taking old containers to fill again rather than purchasing new plastic. THIS blog has a list of spots you can do this in the UK, but it's also worth trying your local health food shop. Buying your fruit & veg loose is also a great way to cut out plastic packaging. 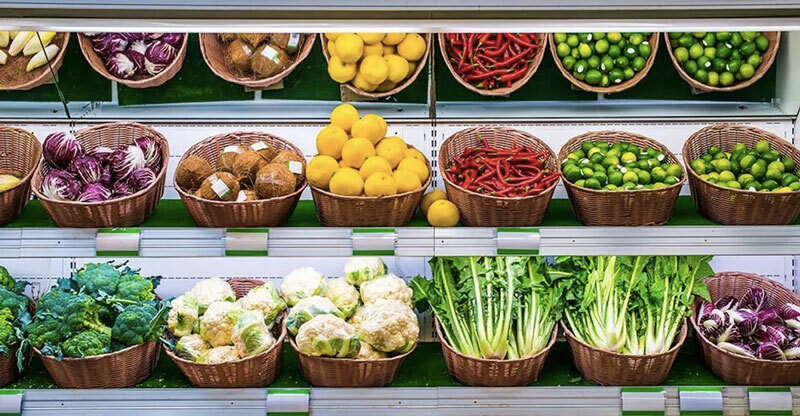 Some supermarkets may make you put loose fruit & veg in plastic bags to weigh it, but you can cut this out by going to a market and request your items are put straight in your own bags. Plus this may be cheaper, and support local farmers! 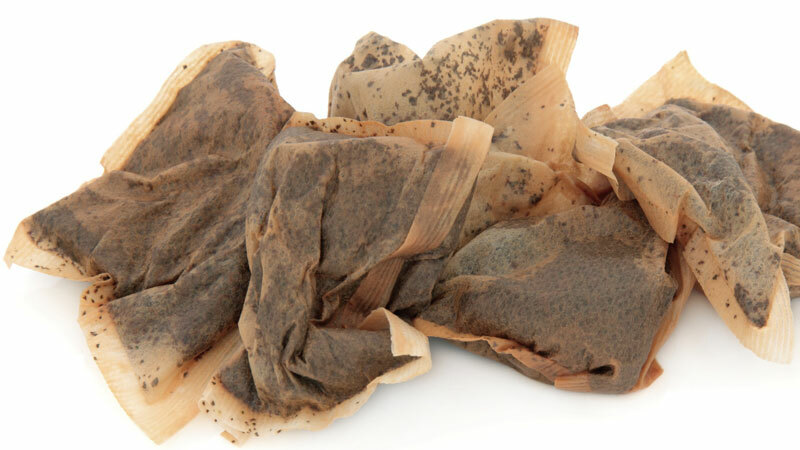 Check if your teabags are biodegradable. Some teabags are biodegradable and compostable, but some brands contain plastic. There's a good list of plastic-free brands HERE - luckily that includes big brands like Twinings, Clipper and Aldi own brand! You can also consider switching to loose tea to cut out a teabag all together. 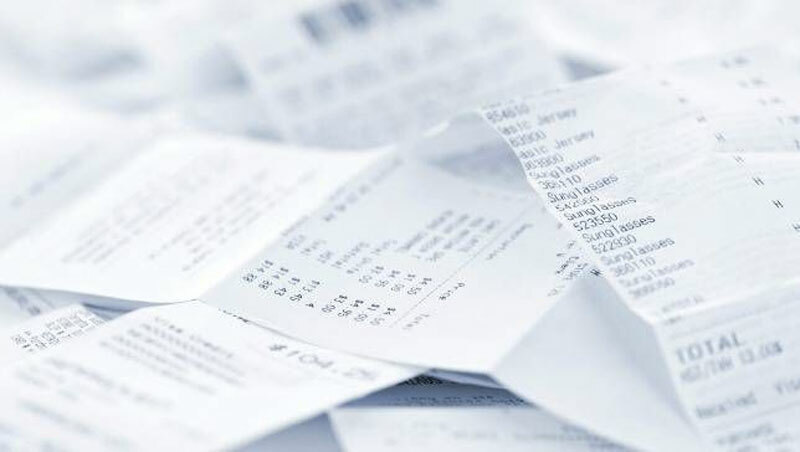 bills & bank statements to cut down on paper usage. I saw this little tip floating around Facebook just before Christmas, but it's a good one to use for birthdays too. 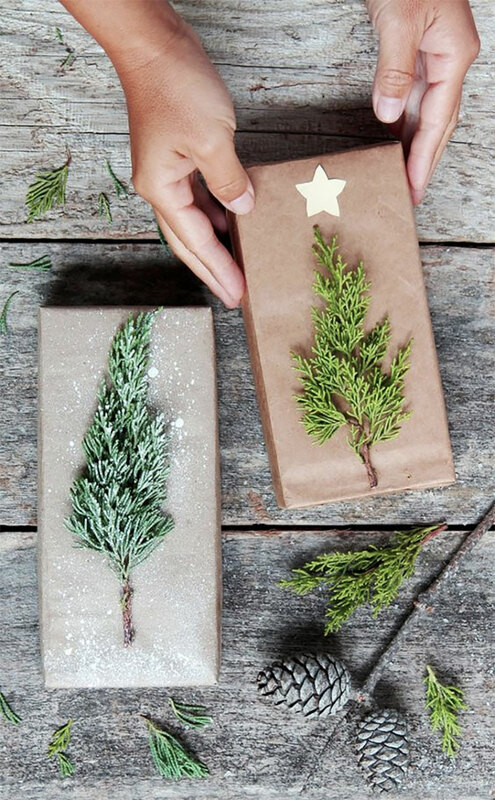 Most wrapping paper can't be recycled because it is often dyed or contains plastics. You can check if your wrapping paper can be recycled by doing a 'scrunch test' (see here) or switch to brown paper, which can be recycled. 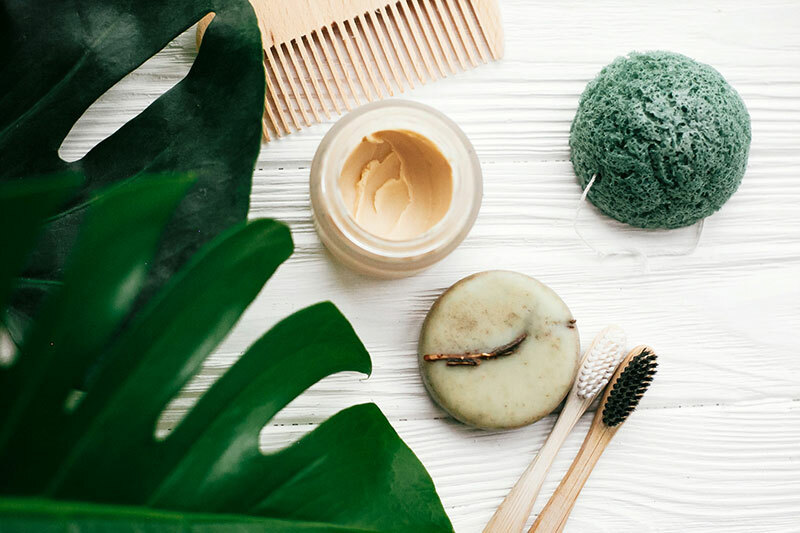 There's been a surge recently in stockpiling cleaning products, and doing hauls - but what are a lot of these products doing to the environment? Asides from the extra plastic, the chemicals in a lot of household products are pretty toxic, and can end up in the ocean. Some more eco-friendly brands to try in 2019 are Ecover, Method and Faith in Nature (all of these you can usually find in supermarkets). Or you can make your own non-toxic cleaning products at home! This can also cut out extra plastic by using reusable spray bottles. 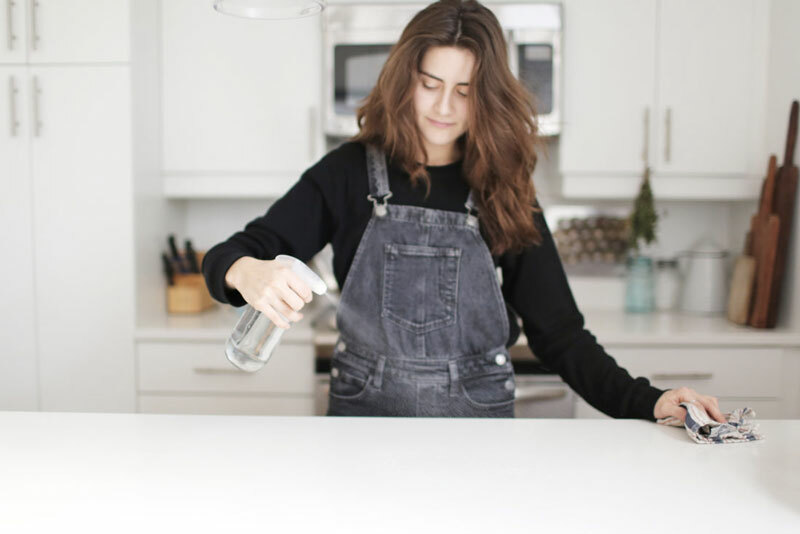 Here's a super simple 3 ingredient cleaning product from the zero-waste blog Trash is for Tossers. So there's my list of ways I'm going to try and be a bit more eco-friendly in 2019! If anyone has any more tips please send 'em my way.